DC Comics is on an impressive stretch of adaptations of its top heroes: Wonder Woman is the best part of the current DC cinematic universe to date, while Injustice 2 for consoles is even better than the excellent original. The glossy, heroes-and-villains fighting game builds off of NetherRealm Studios’ Mortal Kombat game engine with even bigger special moves than before and an even more fascinating story mode. And just like with the first game, Injustice 2 has also made a big splash on the App Store. 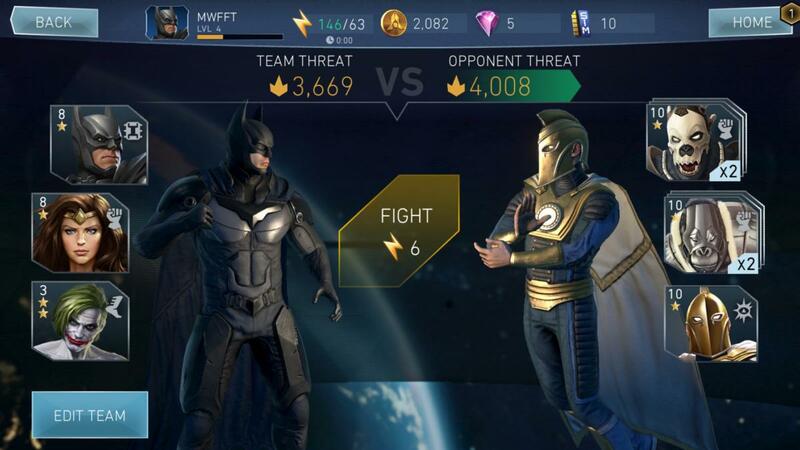 The free-to-play mobile version of Injustice 2 isn’t exactly like its $60 console counterpart, but it maintains quite a lot of the experience while delivering some seriously impressive graphics and quite of bit of gameplay to enjoy. 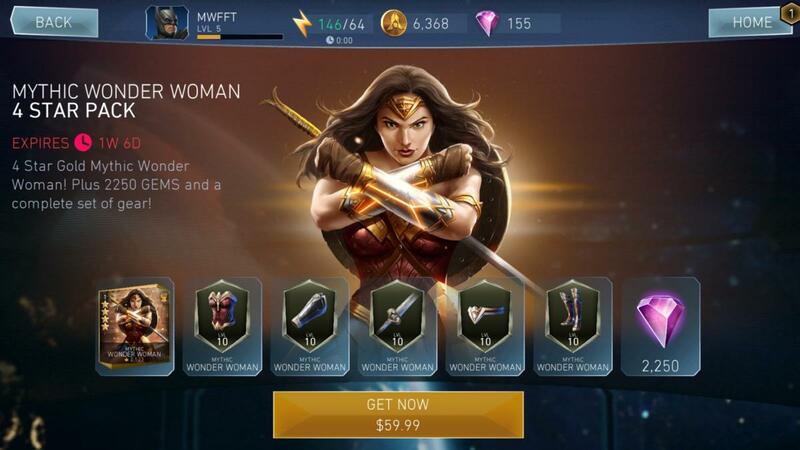 Marvel Contest of Champions felt like a response to the original Injustice, as I wrote back in 2015, and it’s not all that surprising to see Injustice 2 take a couple of cues in return. 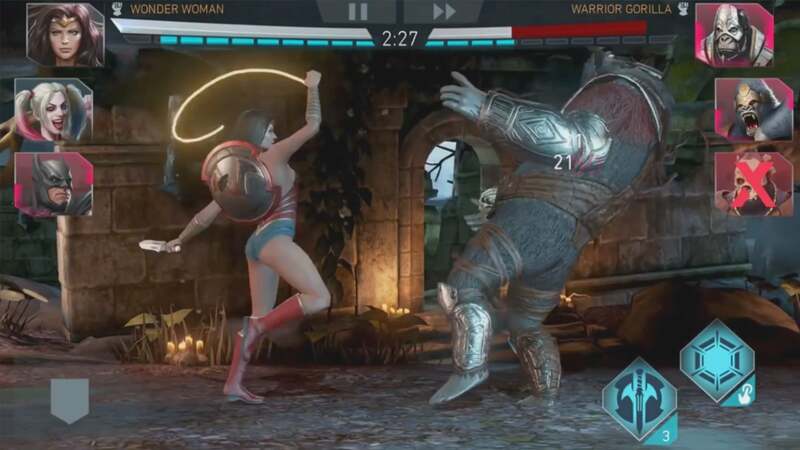 Like the first Injustice for mobile, you’ll mostly battle in teams of three as you switch between heroes and villains like Batman, Superman, Wonder Woman, and The Joker in head-to-head combat. For a free iOS game, Injustice 2 is remarkably close to the console experience. This time around, however, the combat feels a lot more fluid and is very similar to what we’ve seen in Marvel’s fighter. It’s streamlined and straightforward, yet feels robust and flexible enough to come reasonably close to the full console experience. Simple taps deliver basic melee attacks, while forward swipes do aggressive attacks and upward, downward, and backward swipes perform other distinctive maneuvers. You can even toss a projectile with a backward swipe followed by a tap. Beyond all of those options, which can be chained together to create combos, you can also use the block button, as well as trigger multiple mini-combos with the tap of a button. And if you take enough damage, you can unleash a cinematic special move that really showcases the abilities of the fighter in question. They’re all big, brash, and wonderfully ridiculous. Each fighter has unique combos and special moves to give them an edge in combat. 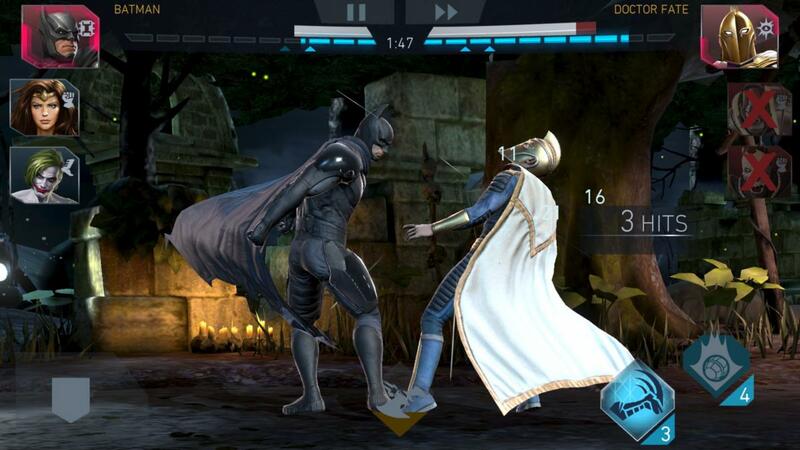 The end result is a game that not only looks more like the controller-based console game, but also feels a bit more like it, making Injustice 2 a surprisingly satisfying mobile fighter. Thankfully, it doesn’t feel anywhere near as dumbed-down as NetherRealm’s previous mobile translation, Mortal Kombat X. There’s still enough depth to the action to make you feel like you’re actually doing something, rather than just randomly tapping and seeing results. And it even includes the story mode from the console games, albeit in bite-sized chunks: you can play the first part of it now, with more promised over time, but it’s there complete with the lavish narrative cut-scenes between the one-on-one fights. Otherwise, you’ll probably spend your time in the three-on-three campaign mode, but when the going gets tough… well, NetherRealm probably hopes you’ll go to the in-game store. If you don’t mind playing in little bits and pieces throughout the day, or can resolve to not spend a cent, then you can mine a lot of fun out of Injustice 2, free of charge. And there truly is a lot to see and play here, between the campaign and story modes, online battles, daily missions, and even more. You’ll get a free low-level chest every few hours, but you’ll have to spend some diamonds to get the good stuff. Injustice 2 has an energy meter in play, which is initially capped at 60 points but grows in size the more you play and level up. However, no matter what it says is the top limit, you’ll often get bonus energy points for completing daily objectives or unlocking achievements through play, and you may find yourself with a huge surplus. I’ve been at 150+ energy on a couple of occasions thanks to bonuses adding up, which means I could sit there and play a long stretch of uninterrupted battles if I really wanted to. Otherwise, the meter is designed to keep people from doing just that, but even allowing 10 straight fights without requiring a break seems pretty generous. And if you ever do run out of energy, which regenerates over time, it looks like you can spend in-game diamonds to add more. The threat level approximates how capable your fighters are against the opponents. But really, the main freemium element—and annoyance—is that Injustice 2 is built on a purposefully unbalanced system. Each character has a threat level of points, which represents your collective attack and defensive levels, as well as talents and abilities, and before long you’ll face fighters who are a lot stronger than you are. At that point, your option is to either keep fighting the same lopsided fight over and over and hope you put in the better performance, wait and gradually level up by playing the game and completing objectives, or spend money on coins and diamonds to level up your fighters and unlock new, more powerful ones. 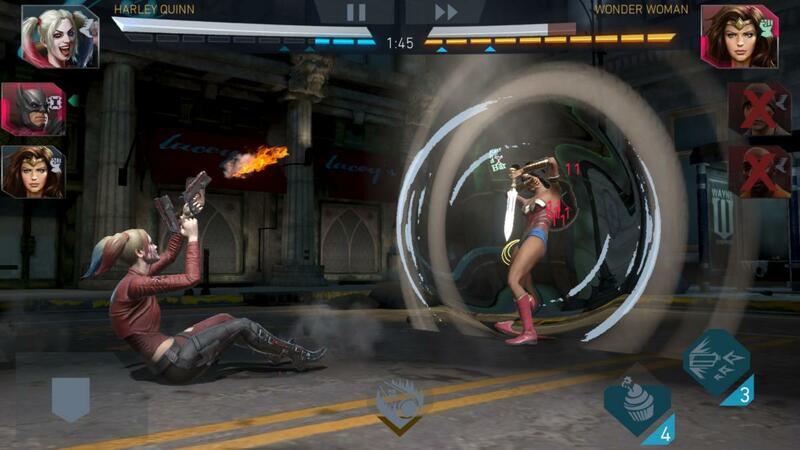 Look, this system isn’t shocking or new: it’s essentially the same one as in Marvel Contest of Champions, and is pretty similar to what was seen in Mortal Kombat X, albeit with less aggressive (or obvious) monetization. It’s just how free-to-play fighting games work, and it might represent the largest difference between mobile and console fighters. Premium console fighters are thoroughly balanced across the roster to avoid clear advantages to fighters, while freemium games reward the investment of either ample time or some level of money. In any case, that’s the deal, so you’ll have to decide whether you’re content with the slow grind of gradual unlocks and frustrating difficulty spikes, or if you want to spend real money to speed things along. Curious about the benefits of spending cash, I dropped $10 into the game to buy 550 diamonds, most of which I spent towards a pair of Premium Hero Chests (250 diamonds apiece). The currency packs range up to $100 for 7,500 diamonds. Sixty bucks?! That’s the same price as the full console game! Nope. On my first chest draw, I got Doctor Fate, a new fighter who was about as the heroes in my top trio, but then the second yielded a duplicate Catwoman, which was just folded into my existing hero to eventually help her upgrade to a higher level. Getting a new fighter spices up the repetitive combat a bit and provides more team options, although given the cost, I’m not sure it’s really worth nearly $5 a pop. Besides, the game gives you a decent supply of free diamonds to work with just for completing objectives. If you plan to play daily, you can also buy Injustice Cards that provide a stack of diamonds every day you play for 30 days—either 25/day for $8 or 100/day for $26. The latter is still a lot to spend on in-game currency, but it’s cheaper than buying the bundles if you’ll play enough to redeem every bit of it over the course of the month. 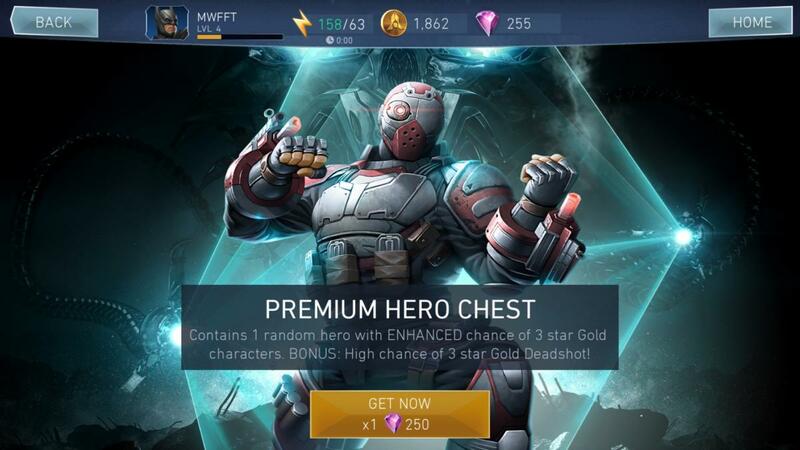 In any case, whether you pay or abstain, Injustice 2 is pretty much a model freemium fighter, very much like Marvel Contest of Champions before it. The combat is slick and entertaining, there’s loads to play, and it looks fabulous too. Sure, there are free-to-play frustrations, but they’re all familiar and pretty reasonable—and fair, too, given all that you’re getting for free. 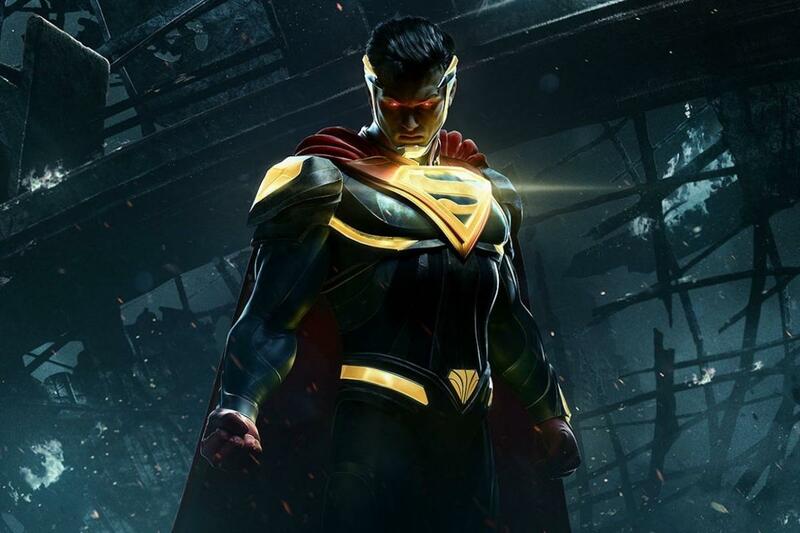 The original Injustice has had a very long tail on mobile and is still seemingly being updated with new fighters and content a full four years after its debut. Injustice 2 seems to be continuing that trend, with more content promised and a Wonder Woman-themed update already unleashed. This could be a fighter that we’ll be playing for years. Luckily, based on the hours I’ve put into it so far, it deserves the attention.